Rick Kai Lam Choi, CPA — owner of Trans-Pacific Accounting and Business Consulting, LLC — is a certified public accountant and certified QuickBooks Proadvisor. He provides professional accounting, tax, and management consulting services for individuals and small to mid-sized businesses. 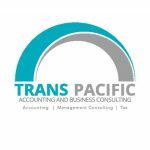 Work For Trans-Pacific Accounting and Business Consulting, LLC? Claim This Page.